Latte art by barista Molly Gale. Seattle is home to an endless number of coffee houses and espresso stands. It's impossible to walk the streets of Seattle and not run into one of the dozens of coffee companies, each with their own unique style and taste. Find every type of coffee concoction including lattes, mochas, cafe Americanos and extra foam café mistos to name a few. With so many options, we have a rundown of "java jargon" so you can sound like a pro: http://www.gonorthwest.com/Washington/seattle/dining/javajargon.htm. Explore this page for information on the coffee houses and espresso stands. For a specific area, go to the left navigation column and click on the desired neighborhood. Bauhaus Strong Coffee. 2001 NW Market Street, Seattle, WA 98107. Phone: 206-453-3068. Capitol Hill - 1623 Bellevue Avenue. Central District - 1918 E. Yesler Way. Roosevelt - 6515 Roosevelt Way NE. Cafe Bambino. 405 NW 65th Street, Seattle, WA 98117. Phone: 206-706-4934. Fisherman's Terminal - 4001 21st Avenue W. Phone: 206-281-8040. Seattle Ferry Terminal - 801 Alaskan Way, Pier 52. Phone: 206-264-2500. Shoreline Central Market - 15505 Westminster N. Phone: 206-364-9329. Wallingford - 1218 N. 45th. Phone: 206-364-9329. Caffè D'arte. (Retail store)1625 2nd Avenue, Seattle, WA 98101. Phone: 206-728-4468. Queen Anne - 224 W. Galer Street. Phone: 206-282-1441. Old Ballard - 5405 Leary Avenue NW. Phone: 206-706-0421. Sunset Hill - 3125 NW 85th Street. Phone: 206-706-7580. Wet Seattle - 2206 California Avenue. Phone: 206-588-0708. Seattle Cafe - 320 Occidental Avenue S. Phone: 206-624-5847. Ballard Cafe - 5407 Ballard Avenue NW. Phone: 206-420-3945. Capitol Hill - 1005 E. Pike Street. Phone: 206-709-4440. Fremont - 4301 Fremont Avenue N, Phone: 206-632-3535. Queen Anne - 813 5th Avenue N. Phone: 206-285-9662. Pioneer Square - 125 Prefontaine Place S. Phone: 206-652-8331. Phinney Ridge - 7402 Greenwood Avenue N. Phone: 206-588-1519. Seward Park - 5028 Wilson Avenue S. Phone: 206-721-0111. 1st & Cherry - 103 Cherry Street. Phone: 206-621-9372. 1st & Clay - 2719 1st Avenue. Phone: 206-441-5489. 1st & King - 528 1st Avenue. Phone: 206-209-5594. 1st & Lenora - 2121 1st Avenue. Phone: 206-441-7176. 1st & Seneca - 1212 1st Avenue. Phone: 206-264-9372. 3rd & Marion - 803 3rd Avenue. Phone: 206-442-9372. 5th & Denny - 2621 5th Avenue. Phone: 206-812-1298. 12th & James - 1223 E. Cherry. Phone: 206-454-3592. Pine & Melrose - 320 E. Pine Street. Phone: 206-859-2777. 5th & Olive - 509 Olive Way. Phone: 206-623-3005. Westlake Tower - 1601 5th Avenue, Suite 100. Phone: 206-258-6658. Rainier Square - 1310 4th Avenue. Phone: 206-223-1644. 818 Stewart - 818 Stewart Street. Phone: 206-682-2929. Greenwood - 7916 Greenwood Avenue N. Phone: 206-781-1213. Highlands - 14419 Greenwood Avenue N. Phone: 206-417-1639. Smith Tower - 502 E. 2nd Avenue. Phone: 206-624-0332. Greenlake - 4615 Stone Way N. Phone: 206-632-7019. Downtown - 401 5th Avenue. Phone: 206-682-2173. Harborview - 502 9th Avenue. Phone: 206-724-0658. Fonté Coffee Roaster. 5501 6th Avenue S, Seattle, WA 98108. Phone: 206-762-0760; Fax: 206-838-1114. Montlake - 2300 24th Avenue E. Phone: 206-328-0700. Capitol Hill - 610 19th Avenue. Phone: 206-329-4700. Wallingford - 1705 N. 5th Avenue. Phone: 206-634-2700. Phinney Ridge - 7320 Greenwood Avenue N. Phone: 206-784-0202. Ravenna - 5611 University Way NE. Phone: 206-525-5070. Dexter - 901 Dexter Avenue N. Phone: 206-274-8242. Java Bean Coffee. 5919 24th Avenue NW, Seattle, WA 98107. Lighthouse Roasters. 400 N. 43rd Street, Seattle, WA 98103. Phone: 206-633-4775. Monorail Espresso. 510 Pike Street, Seattle, WA 98101. Phone: 206-422-0736. Red Cup Espresso. 4451 California Way SW, Seattle, WA 98116. Phone: 206-913-0203. Rooster's Espresso. 7809 Lake City Way NE, Seattle, WA 98115. Phone: 206-632-6351. Downtown - 107 Pike Street. Ballard - 2060 NW Market Street. Starbucks. Click on web site for locations. 1115 12th Avenue. Phone: 206-323-1544. 616 East Pine. Phone: 206-329-0115. Tougo Coffee Company. 1410 18th Avenue, Seattle, WA 98122. Tully's Coffee. Click on web site for locations. Queen Anne - 525 Queen Anne Avenue N. Phone: 206-285-3757. Belltown - 2504 4th Avenue. Phone: 206-441-1084. Wallingford - 2300 N. 45th Street. Phone: 206-812-0404. Delridge - 3845 Delridge Way SW. Phone: 206-933-9497. West Seattle Junction - 4301 SW Edmunds Street. Phone: 206-935-3753. Pier 70 - 2801 Alaskan Way #105. Phone: 206-770-7777. South Lake Union - 500 Westlake Avenue N. Phone: 206-621-2045. Magnolia - 3223 W. McGraw Street. Phone: 206-217-4463. Roastery & Cafe - 310 E. Pike Street. Phone: 206-624-1725. Cafe on 15th - 411 15th Avenue E. Phone: 206-325-6520. 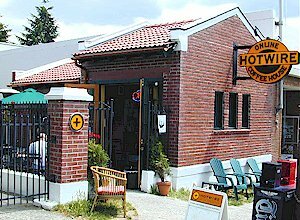 Cafe Beacon Hill - 3215 Beacon Avenue S. Phone: 206-860-7767. Wheelhouse Coffee. 2113 Westlake Avenue, Seattle, WA 98121. Phone: 206-467-0160. Zeitgeist Coffee. 171 S. Jackson Street, Seattle, WA 98101. Phone: 206-583-0497. Greenlake - 2200 N. 56th Stree. Phone: 206-545-4277. University - 2901 NE Blakely Street. Phone: 206-527-0990. South Lake Union - 351 Boren Avenue N. Phone: 206-623-2264.